Around enrollment time, schools need to get the word out to parents about the benefits of the education you provide. 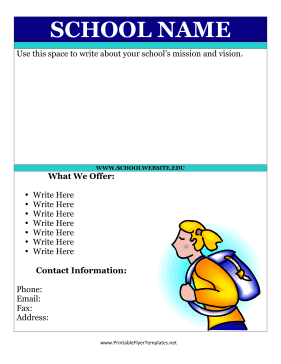 Make it easy for parents to find the best education for their children by using this bright blue flyer, which includes a picture of a girl with a backpack. You can include all the important facts about your school and classes on this large flyer.